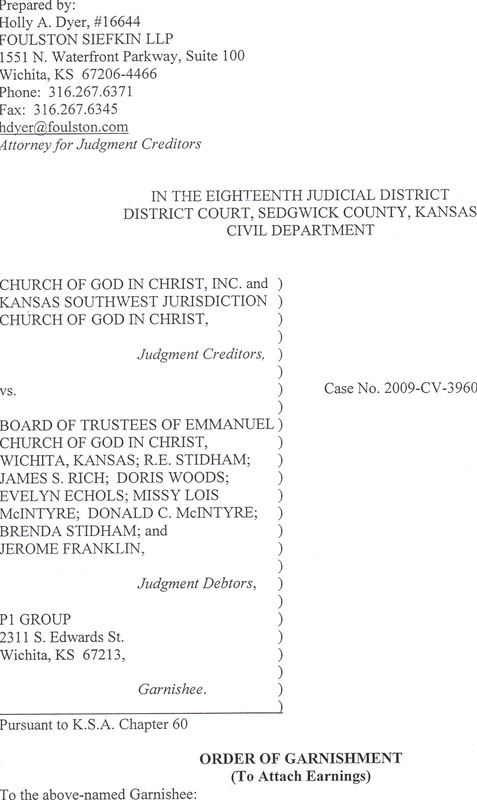 COGIC sues its members | IS THERE JUSTICE IN THE CHURCH OF GOD IN CHRIST? CHURCH OF GOD IN CHRIST, INC SEEKS TO GARNISH MEMBERS WAGES! In the parable of the “good samaritan”, the priest and the levi did exactly what they were supposed to do according to the law. It is interesting that Jesus commended someone who was looked down upon by the Jews (can we say church folks). Where are the good samaritans? I was Garnished again. My prayer, Psalms 94:3-4. UPDATE: On October 6, 2010 I was garnished again. 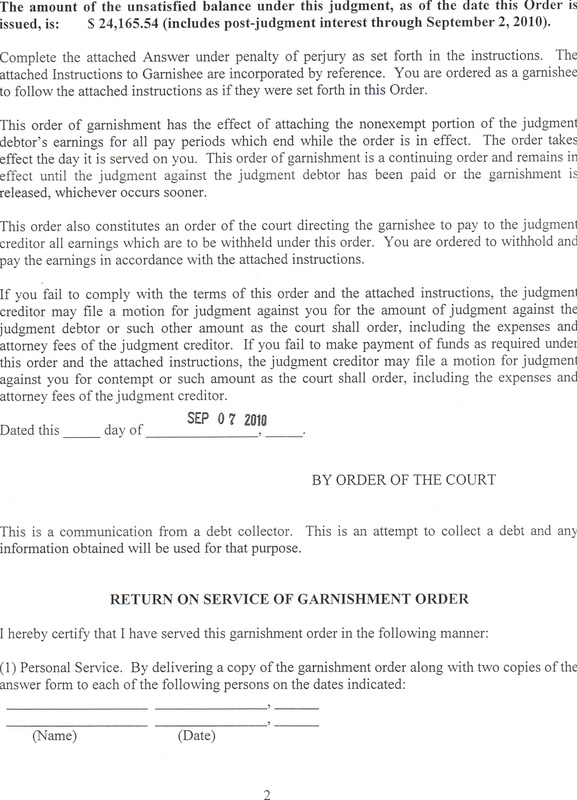 There are those who will try to “misplace the truth” and say they did not ask for a garnishment. The CHURCH OF GOD IN CHRIST, INC is a plantiff. The plantiffs lawyers work for COGIC. They can tell them to stop at any time. My personal check, has been garnished today ! 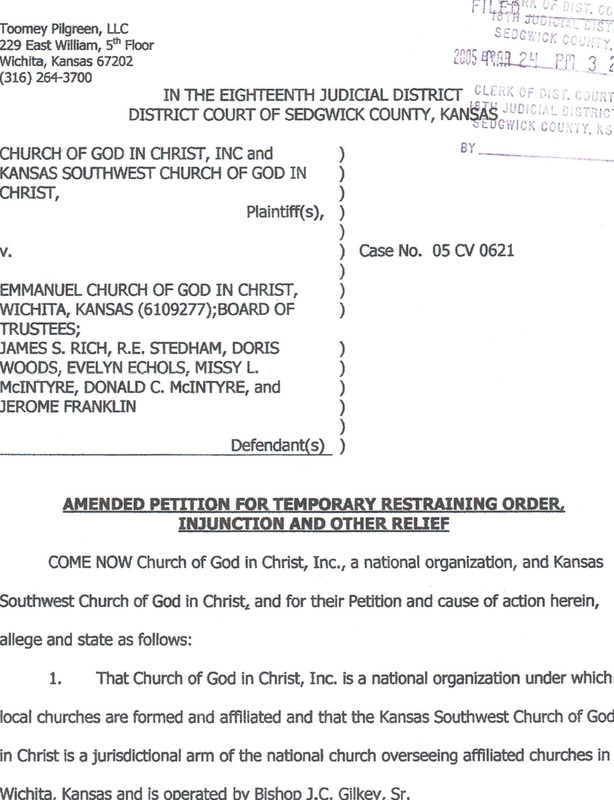 Not only has the Church of God in Christ, Inc and Bishop J. C. Gilkey thru Kansas Southwest Juridiction taken our church, stripped us of the non-profit corporation, have an injunction against us. 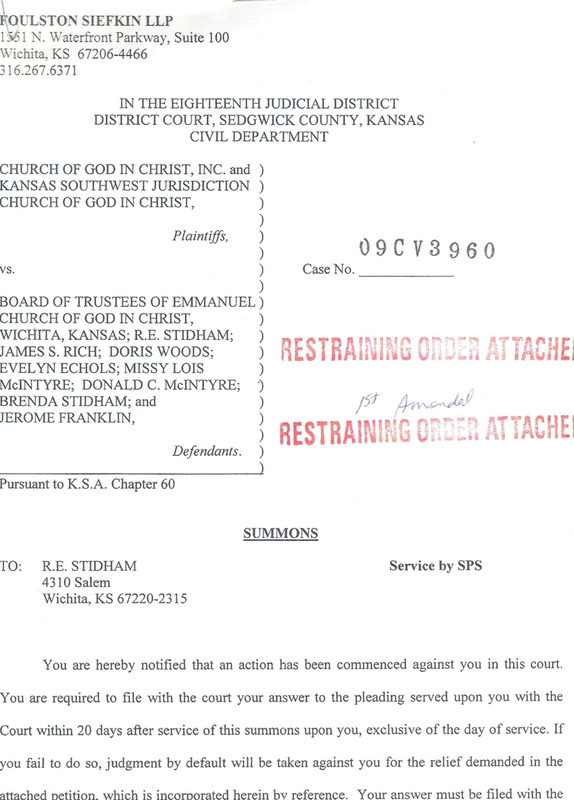 They tried to sue for all the offerings, tithes, Jurisdiction reports, National reports etc. They recieved default judgement which is being appealed. However, now they have filed papers to garnish my paycheck. Yes, thats right, they want to garnish my paycheck. This could happen to you. Enoch Perry General Counsel for COGIC, INC has assisted and even advised Bishop Gilkey to begin this action back in 2005. Some of the named defendants are not trustees but members. One person not only is not a trustee but she is not a member either. They know my sister Brenda Stidham is not a member. We have sent letters to every member of the General Board except the ones newly elected in 2008. 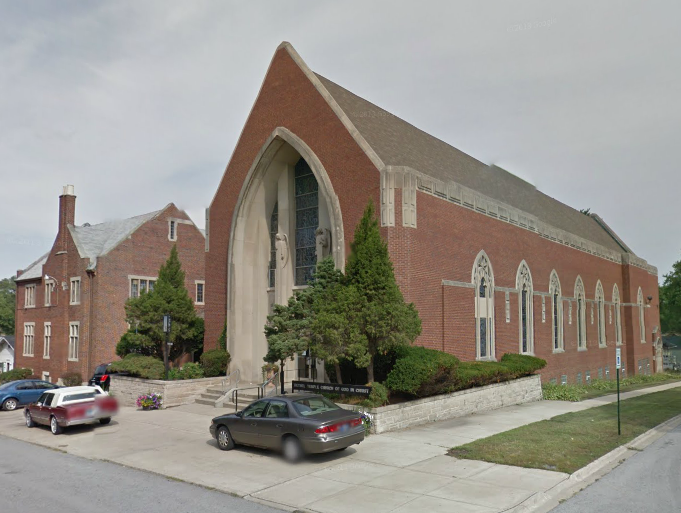 The National Church has consented to the taking of local property even though they know there was no national or state money put into the building. That case was dismissed through a mediated settlement which Enoch Perry signed, they then filed again in 2009. Each time Enoch Perry, General Counel for COGIC, Inc. has come to Wichita and has been the star witness for Bishop Gilkey. They say we are a bunch of renegades but not once have they came out to see if that were true. 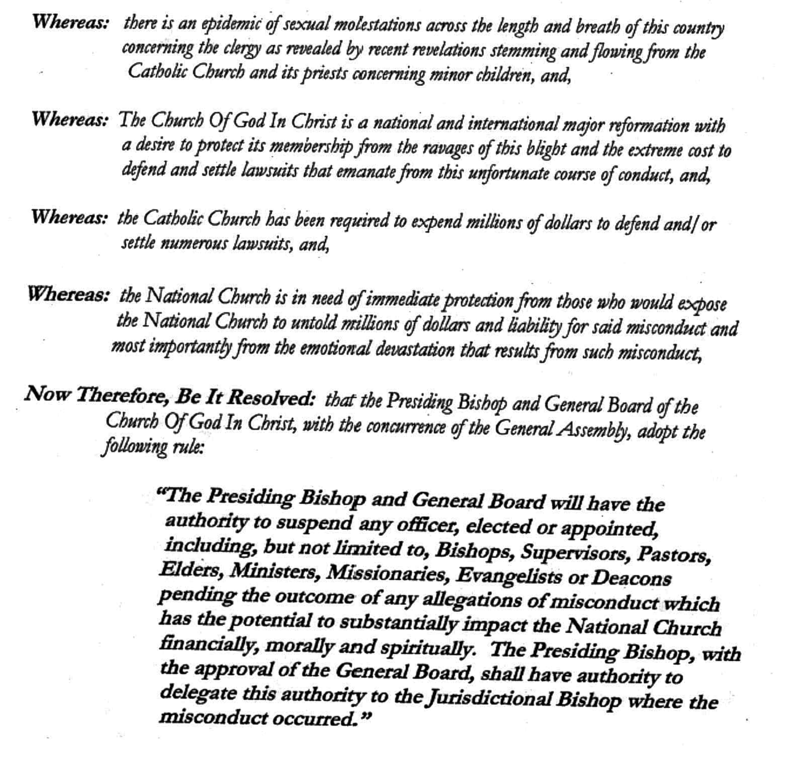 We have sent complaints to every member of the General Board (except as noted above), to Bishop Sheard in 2006 and to the General Assembly. Supt. Hutchins said there was nothing he could do. Even though they knew this Bishop did not follow the correct procedure. Watch out, if you make your Bishop mad, you might be next!